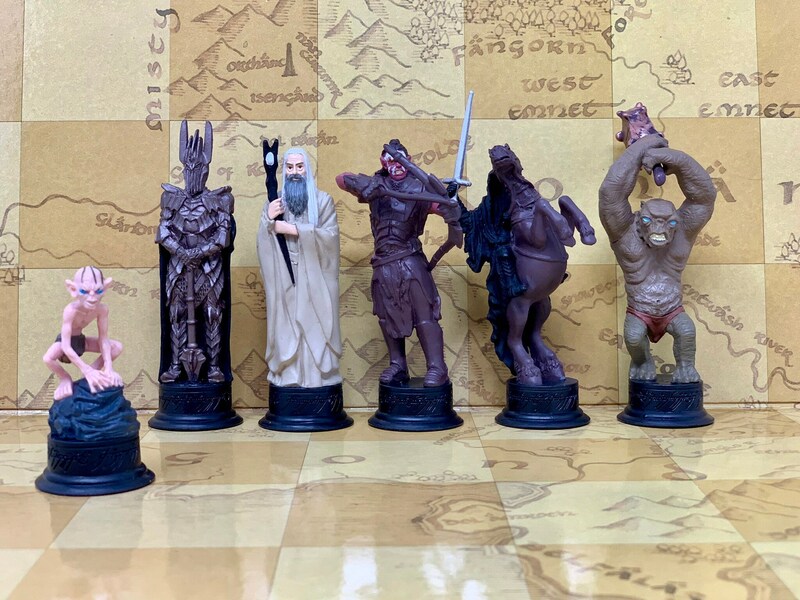 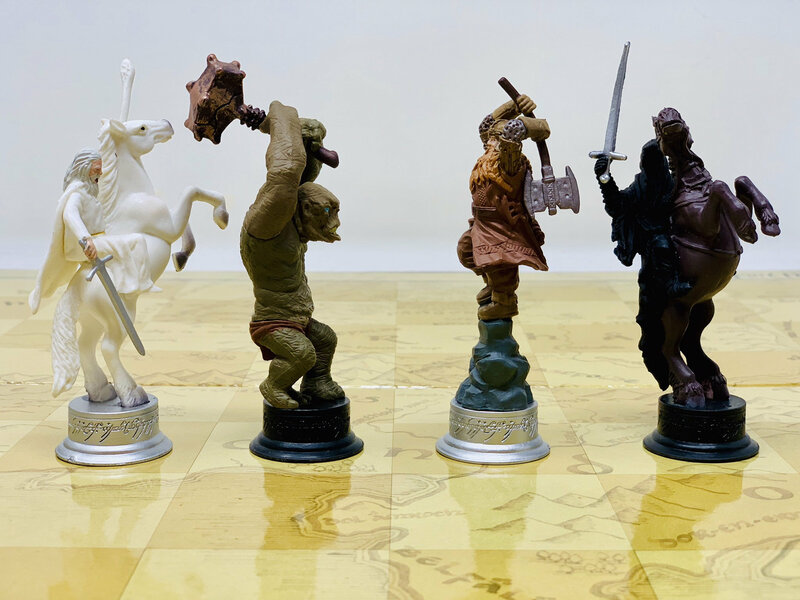 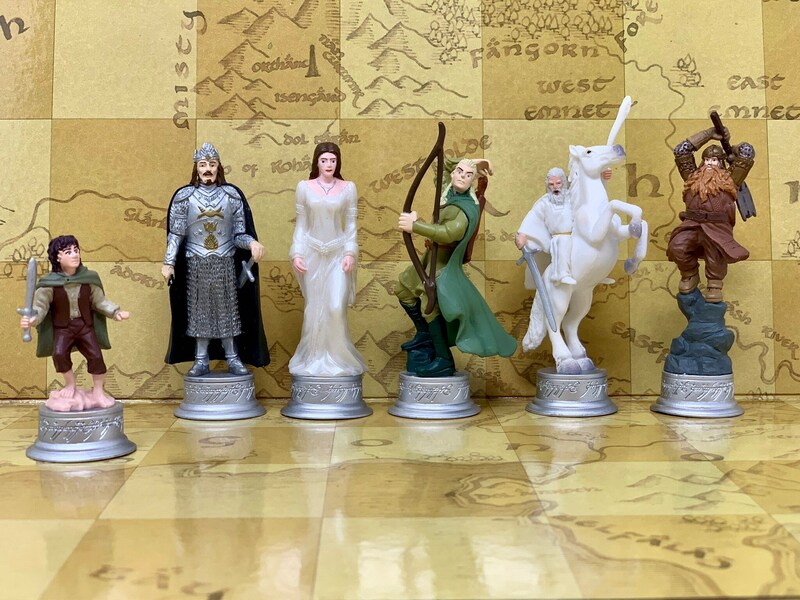 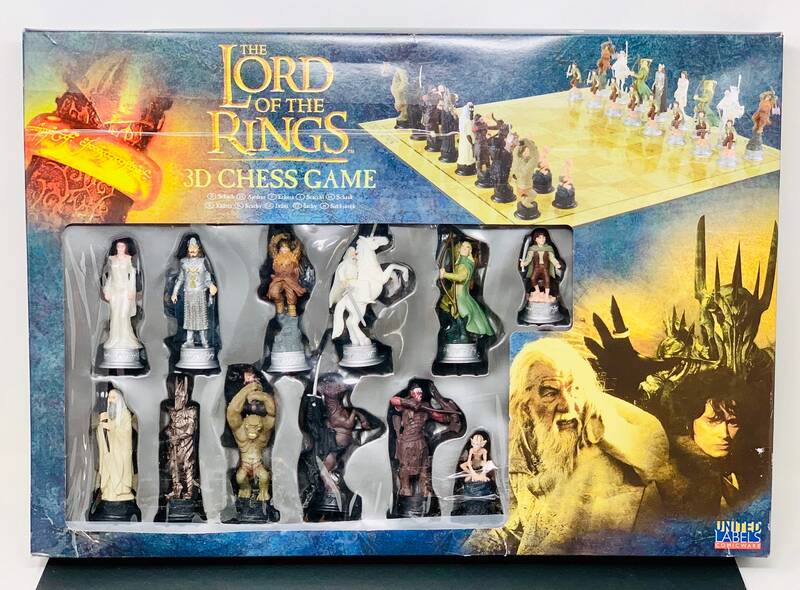 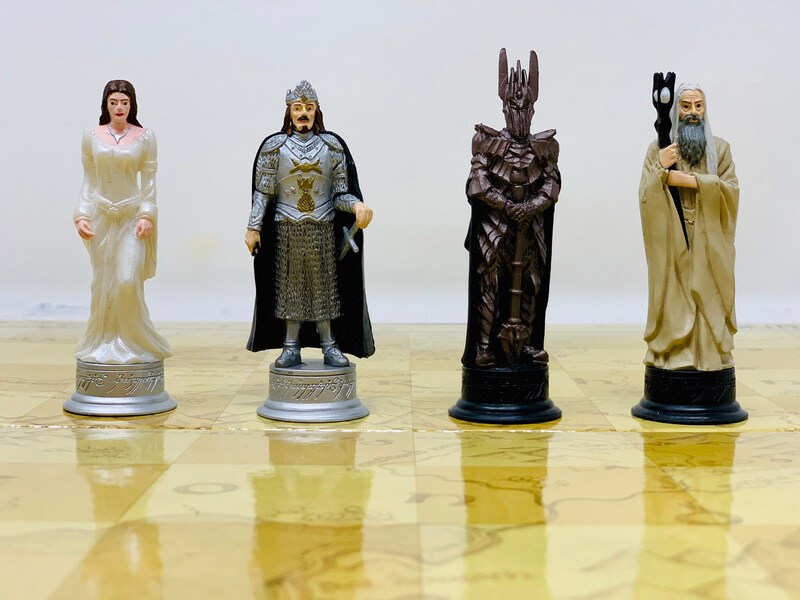 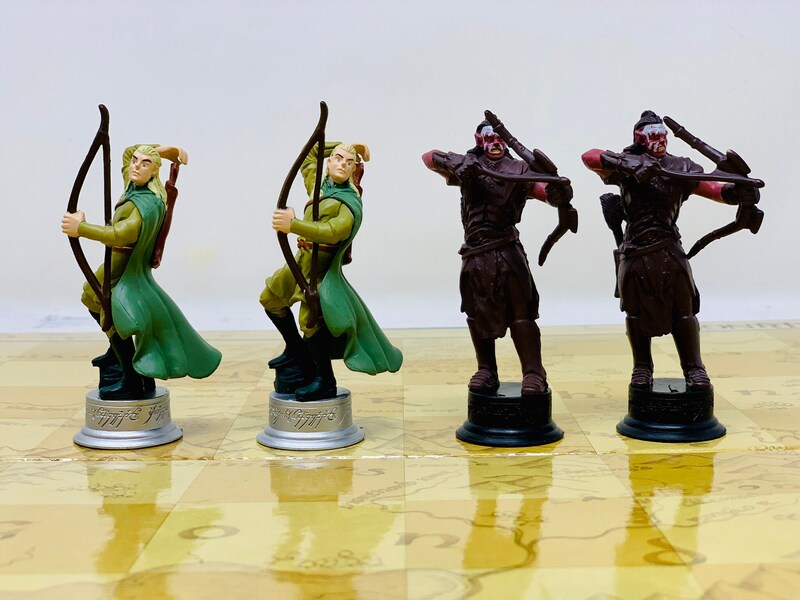 Chess Movie collections, The Lord of the Rings with all the characters from Tolkien's famous book. 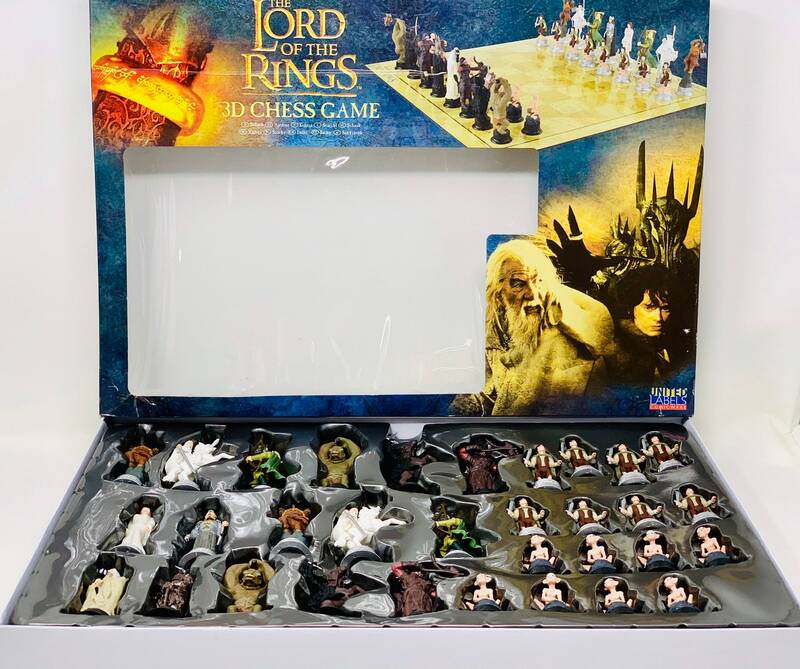 Includes a double board with a map of the Middle Earth and a Board with a very decorative Power Ring. 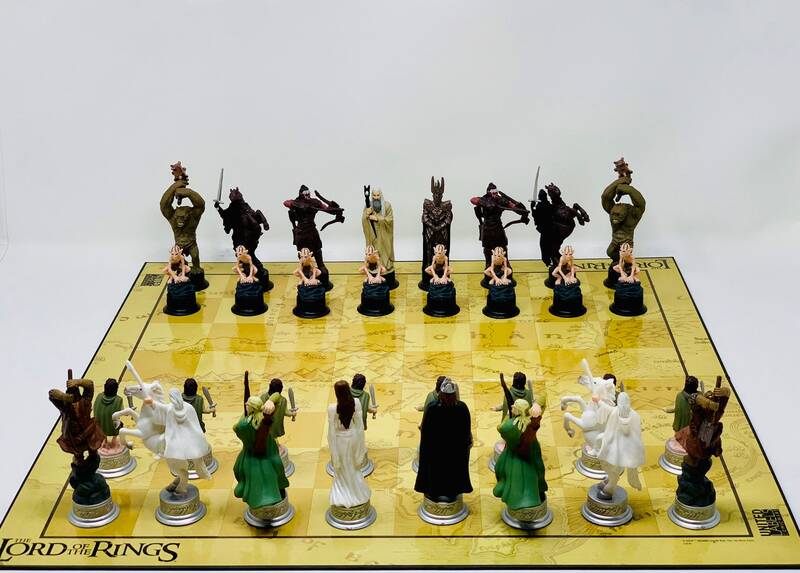 The pieces are in good condition like the board. 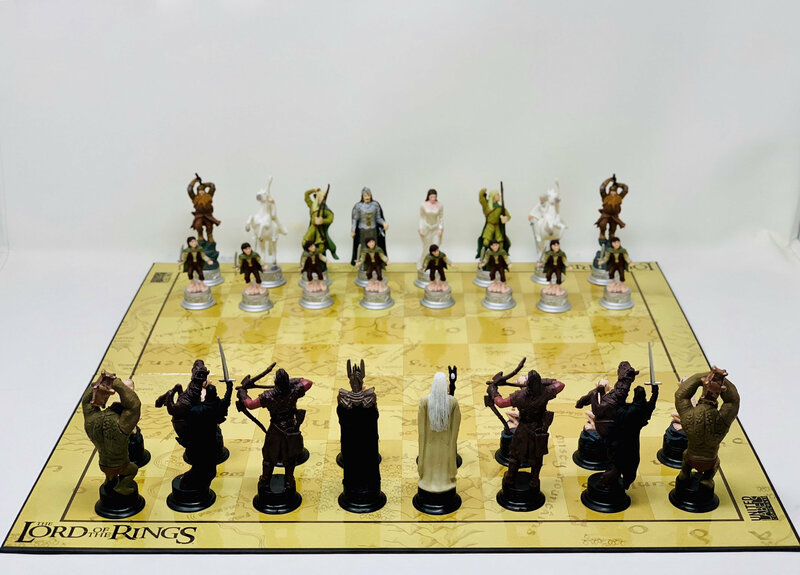 Measurements: 35x45cm of the board and pieces: the King 9cm approximately. 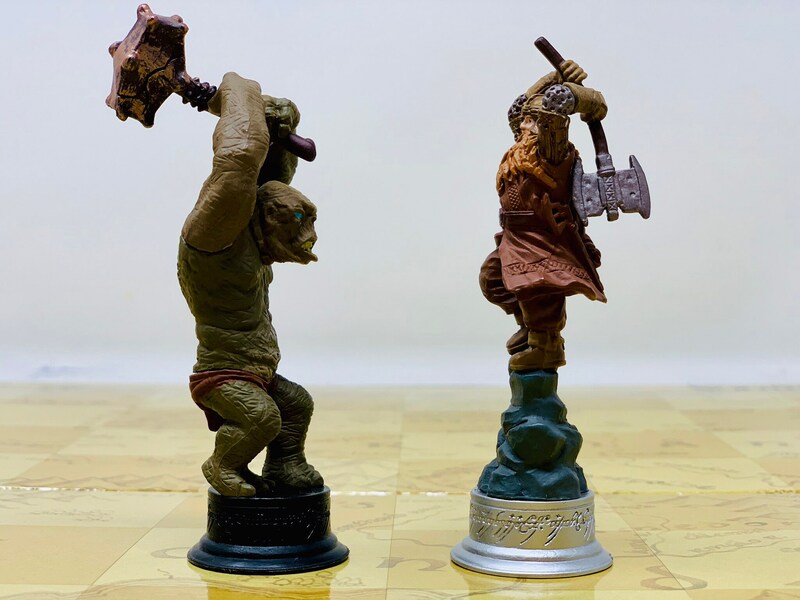 Certified shipment.